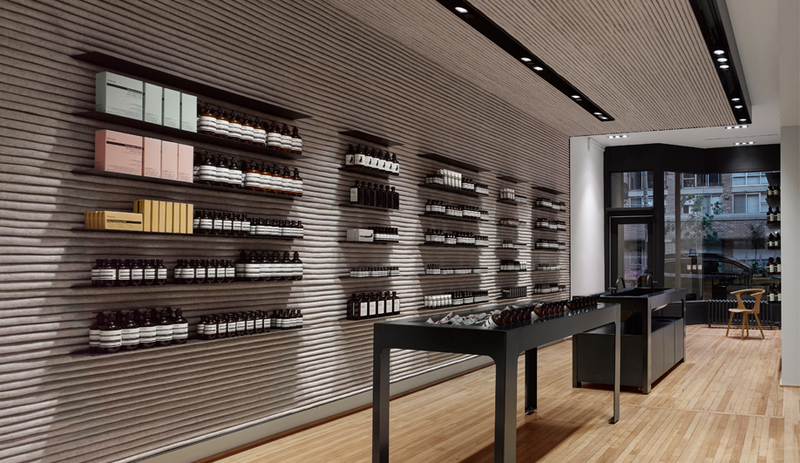 Unlike most beauty lines, Aesop is not interested in promoting an aesthetic ideal. Its products are packaged more like apothecary compounds than “age-defying” makeup, and are never advertised by super models. 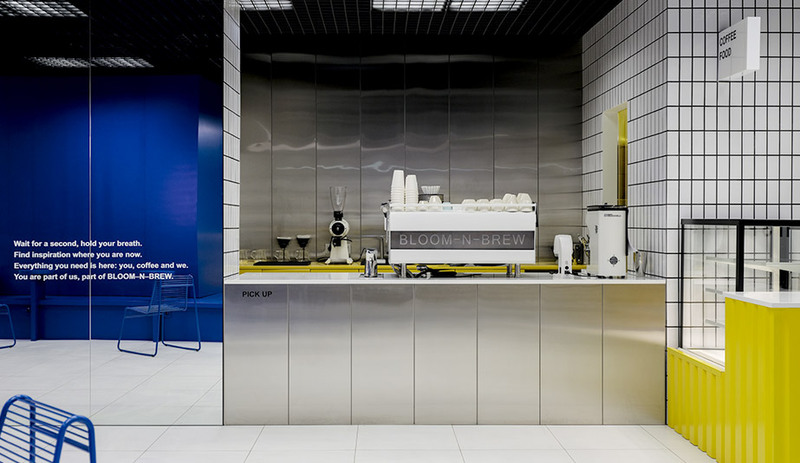 The brand’s commitment to authenticity can also be seen in its distinctive retail spaces. 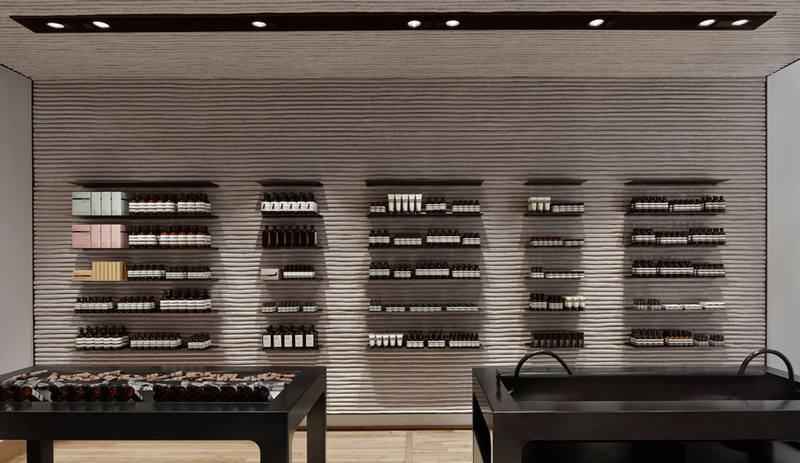 Each of Aesop’s signature stores is thoughtfully tailored to its respective city by a high-profile local architecture firm. In the past, that’s meant a Melbourne flagship covered in perforated timber panels by Kerstin Thompson Architects and a New York location by March Studio that captures the down-to-earth aesthetic of the city’s West Village. 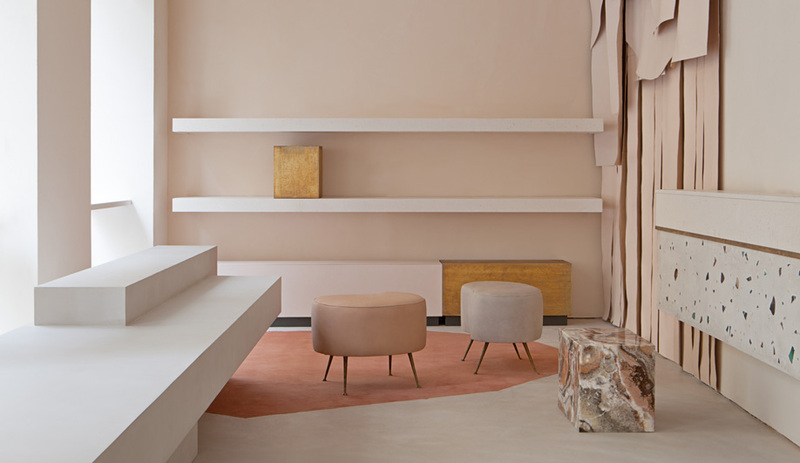 The company’s new Toronto concept shop is the work of Superkül, which caught Aesop’s attention with its portfolio of serene residential projects. 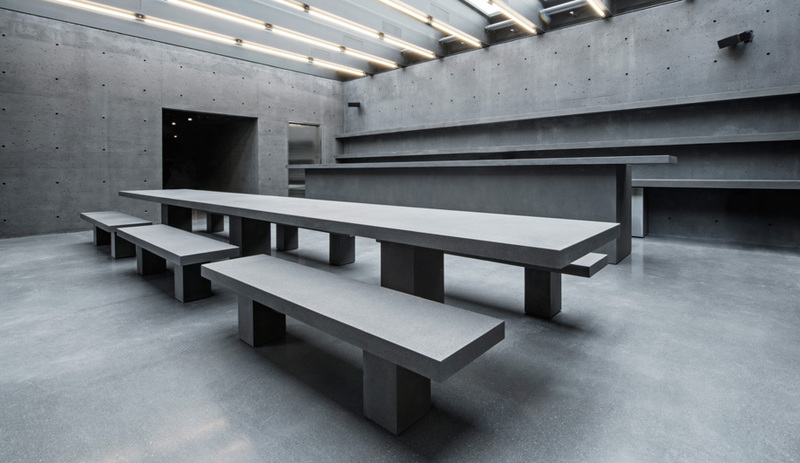 Here, the firm has designed a simple but impactful environment that strips a deep, narrow property back to its bones and builds on that foundation with a heavily symbolic material palette. And yes, the makeover maintains a few charming blemishes. The boutique’s blend of raw and refined is visible right from the street. Its historic facade has received a fresh coat of black paint, creating a dramatic frame for the inviting interior visible through the large storefront window. Newly revealed elements like original maple flooring and exposed brick walls – which had both been obscured by past tenants – draw in passersby with their rich textures and glowing warmth. 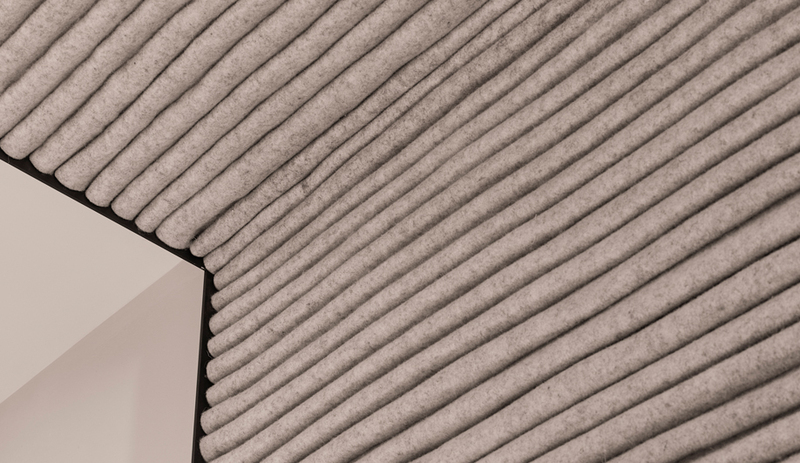 Another warm touch: a tactile fabric wall by Felt Studio’s Kathryn Walter. The rippled installation, which curves to also cover a portion of the ceiling, is meant to evoke a landscape – a reference to the nearby Trinity Bellwoods Park. 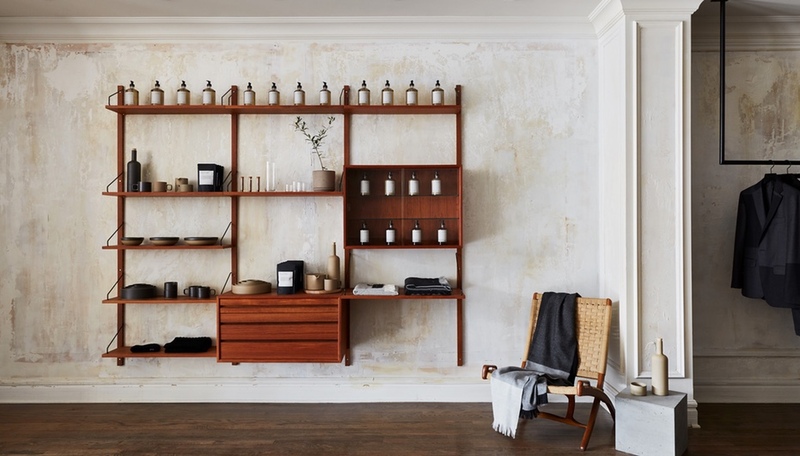 Against this feature wall, shelves hold rows of creams, serums and oils ready to be sampled in the nearby sink. The sleek basin’s blackened steel is another nod to the surrounding neighbourhood, in this case representing both the industrial factories that once operated south of Queen Street and the steel tracks that still carry streetcars along the busy east-west road. As for those imperfections? Eagle-eyed shoppers will spot a trio of bent, weathered nails bashed into a brick on a wall next to the checkout counter. Discovered during the building’s renovation and left intact, the playful moment is not only a reflection of the scrappy-chic attitude that defines the store’s neighbourhood – it’s a testament to the natural beauty that comes with age. 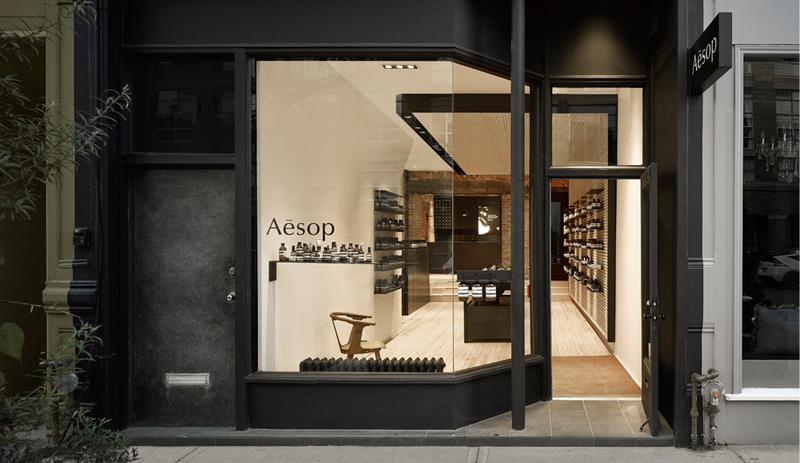 Aesop is open at 880 Queen St W Mon-Sun from 11-7.